The "R Project for Statistical Computing" is an extremely powerful piece of software that, among a million other things, has tremendous capacity for social network analysis. It's also free and has an amazing on-line support system of users and developers. It is quickly becoming a favorite of academics and analysts. One of the downsides is that it can be a bit "code heavy" for those who feel less than comfortable writing their own command-line code. Still, these are powerful set of tools and the training will over several labs for the more advanced attendees and analyst. 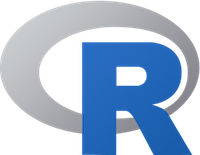 R and RStudio run on unix, linux, windows, and OSx platforms.